Happy Wednesday! That means it's time for a new Simon Says Wednesday Challenge! This week Simon Says: Frame It! 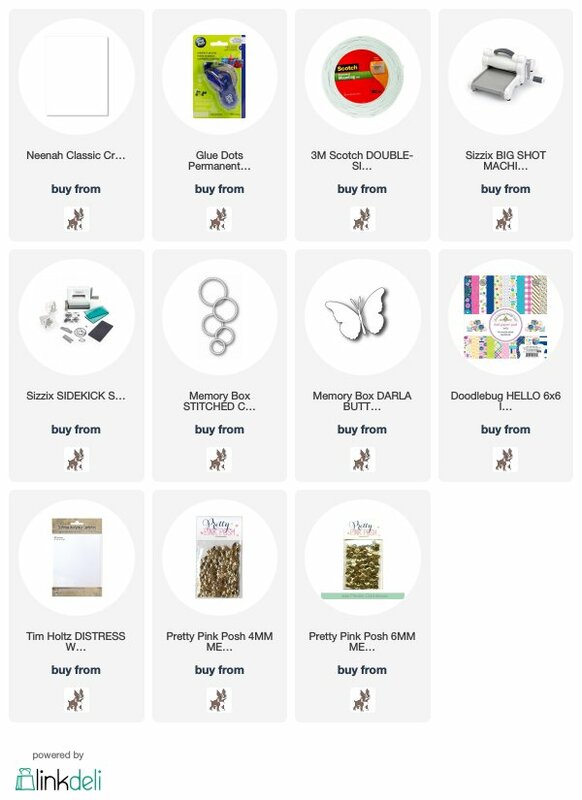 The design team is featuring Memory Box products, you don't have to use them but if you have them we would love to see them! I am having a hard time finding my mojo this week. This is the second card I made for this challenge. Ever have those weeks? 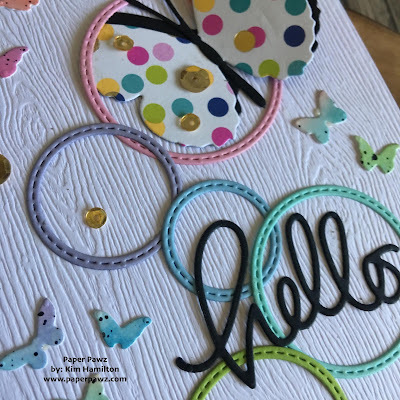 I started by die-cutting a rainbow of Memory Box Stitched Circle dies for my project. 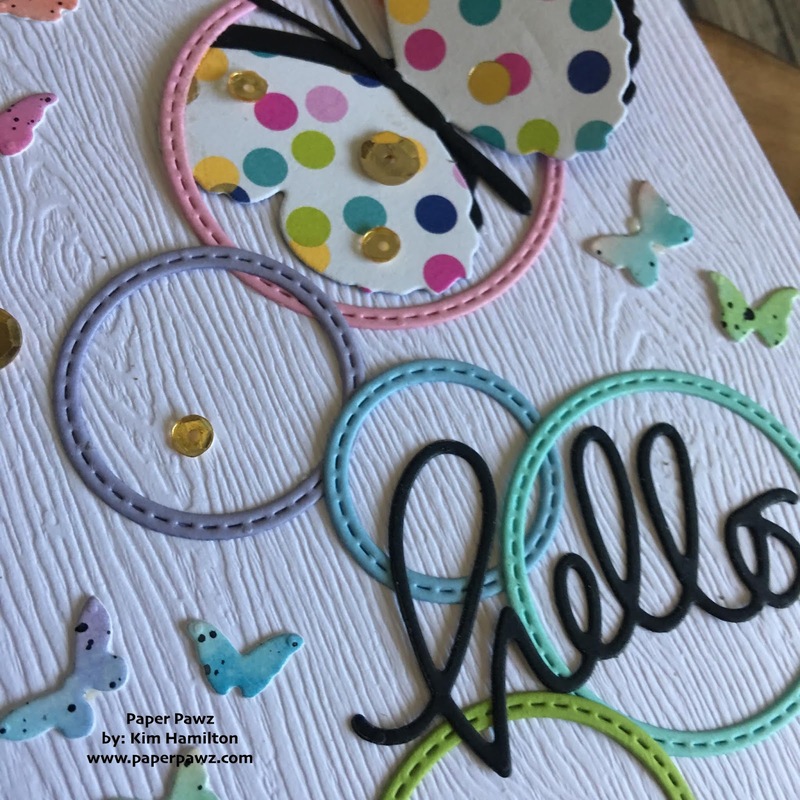 I then decided to use this Doodle Bug polka dot rainbow pattern paper to die cut my Memory Box Darla butterfly. I also die cut the upper left butterfly wing with the biggest of the circle dies to "frame it" in the pink circle. 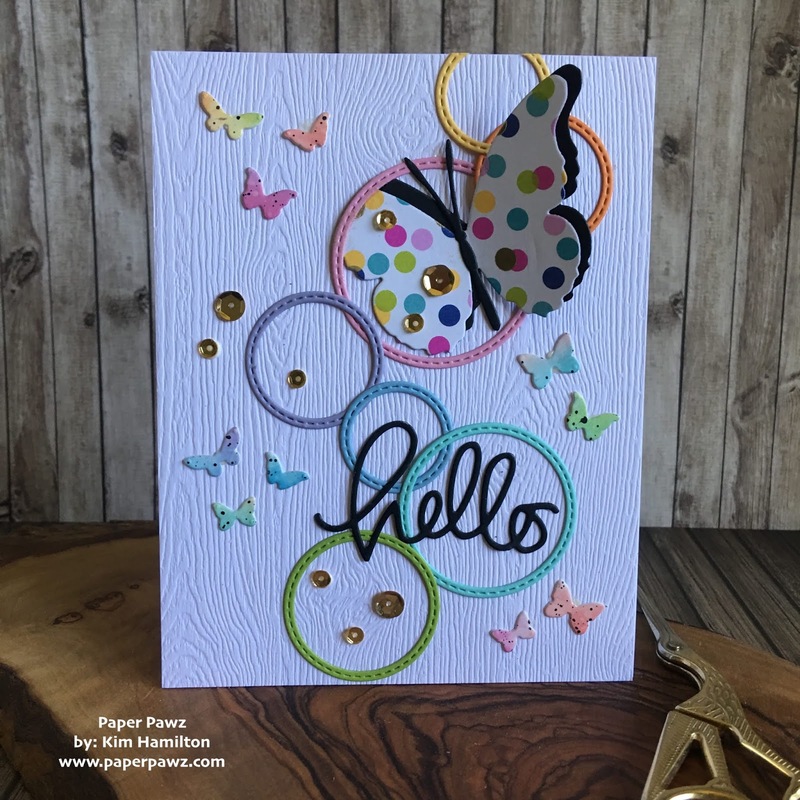 I felt the polka dot paper was a little lost so I decided to back it and offset it with a black butterfly. 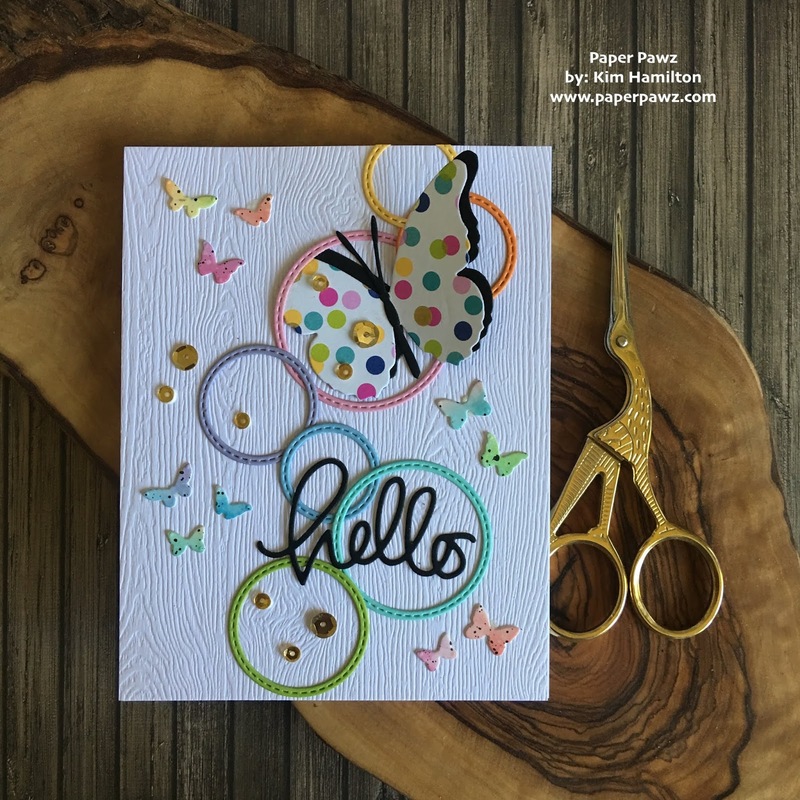 I took a piece of Tim Holtz woodgrain card stock and placed my circles and biggest butterfly on the panel. I then die cut the Simon Says Stamp Hello die and some smaller older Memory Box butterflies to scatter on the card. To finish my project I added some Pretty Pink Posh Gold Sequins in 4 and 6 mm. Come and join in on the fun at the Simon Says Wednesday Challenge!